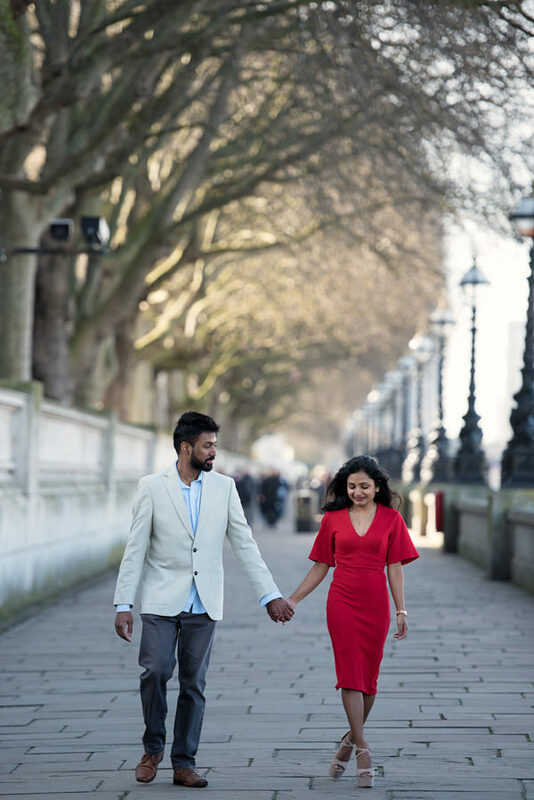 This engagement session covered the London landmarks around the River Thames. 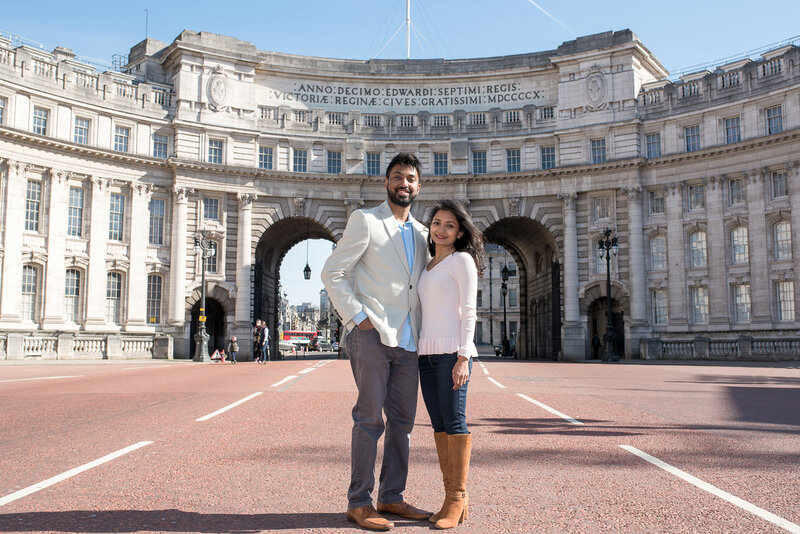 Sanu and Taraka are a couple living in the UK who are getting married in Sri Lanka soon. 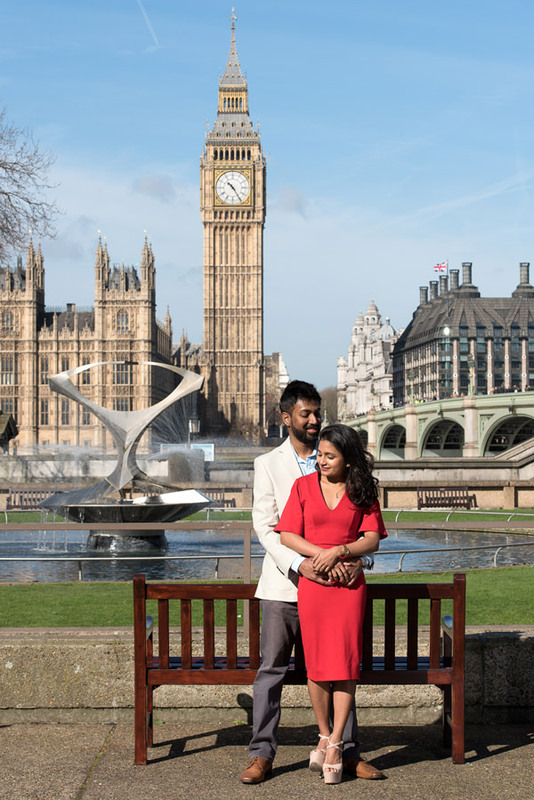 Their engagement session took place in central London, shooting around the Tower of London, London City Hall, Millennium Bridge, Hay’s Galleria, St. Paul’s Cathedral, Parliament and Big-Ben, London Eye, Albert Embankment, Trafalgar Square and Admiralty Arch. All these places are located in Central London. 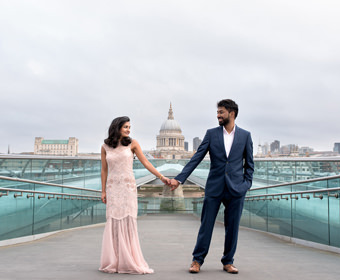 We decided to take the London Underground to travel between them (from St. Paul’s Cathedral to Westminster for instance). 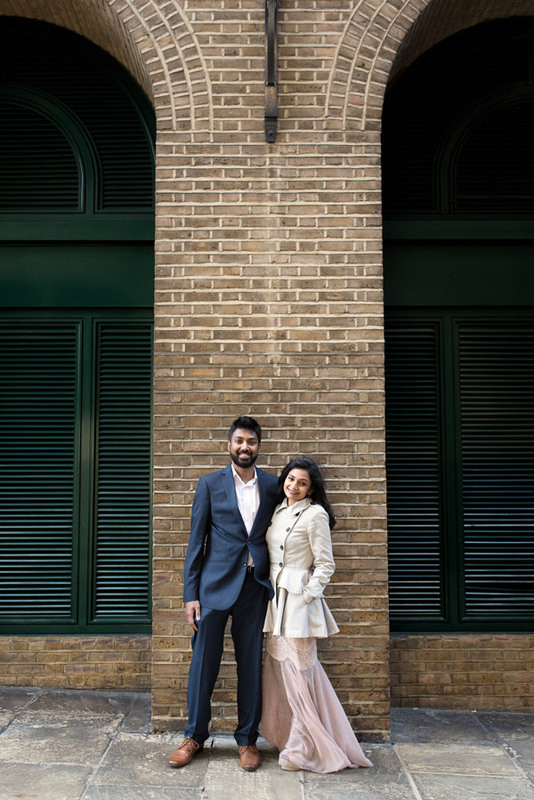 Sanu contacted me in January about her plans for a London engagement shoot by the end of March. We started early, just after sunrise (around 7:00am). Starting early is good for getting the best light and avoiding big crowds (these places are usually full of commuters or tourists by mid-morning). 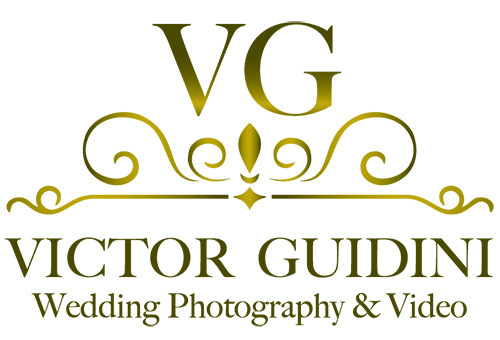 The weather was initially cloudy, but it turned into beautiful sunshine during the photo shoot. 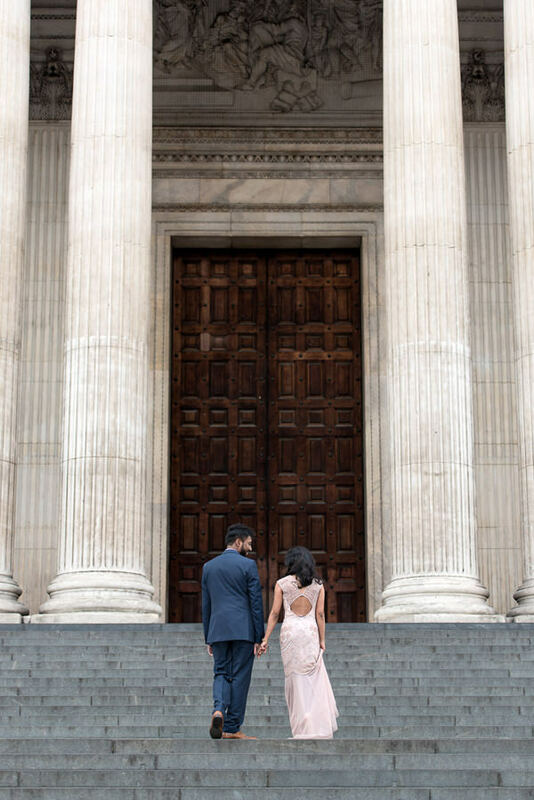 We managed to get some amazing shots with this light. 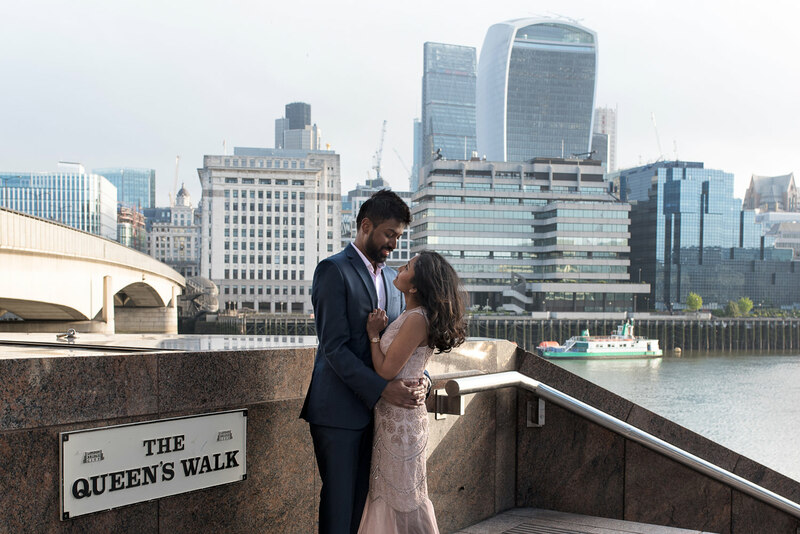 After kicking things off next to Hay’s Galleria, we headed to the South Bank to get some shots with Tower Bridge in the background. 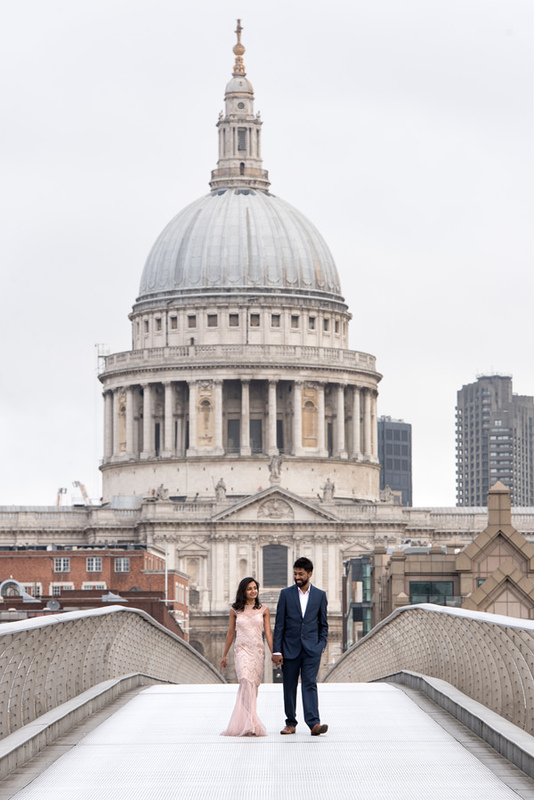 Our next location was Millennium Bridge and St. Paul’s Cathedral where the sun was starting to come up. 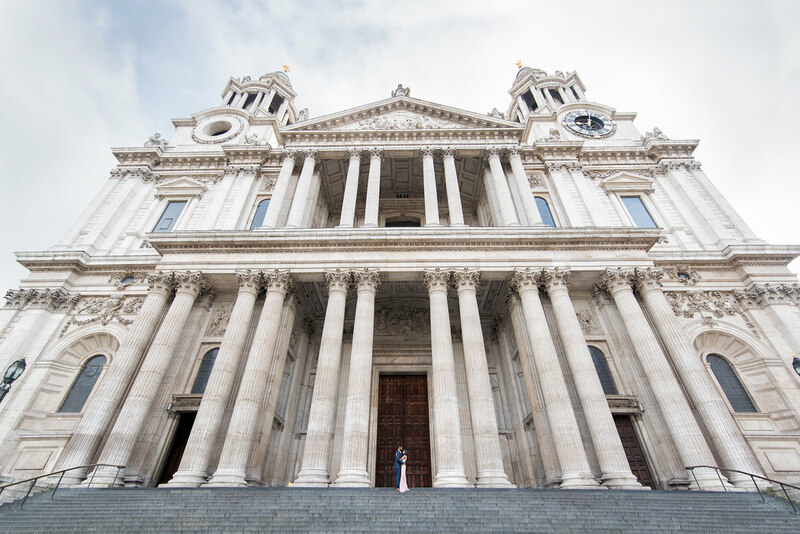 We stopped for a quick coffee and an outfit change at a café next to St. Paul’s and took the tube to Westminster. 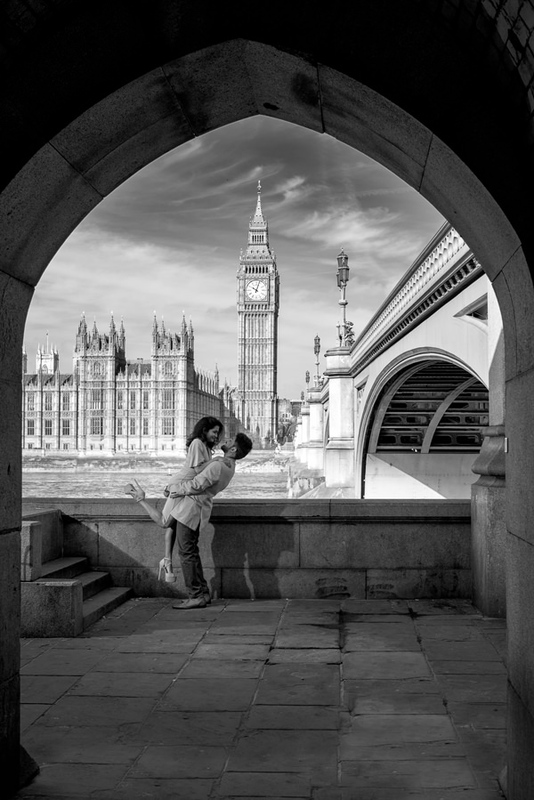 London Eye, Big-Ben and Houses or Parliament were the next places to get some shots. 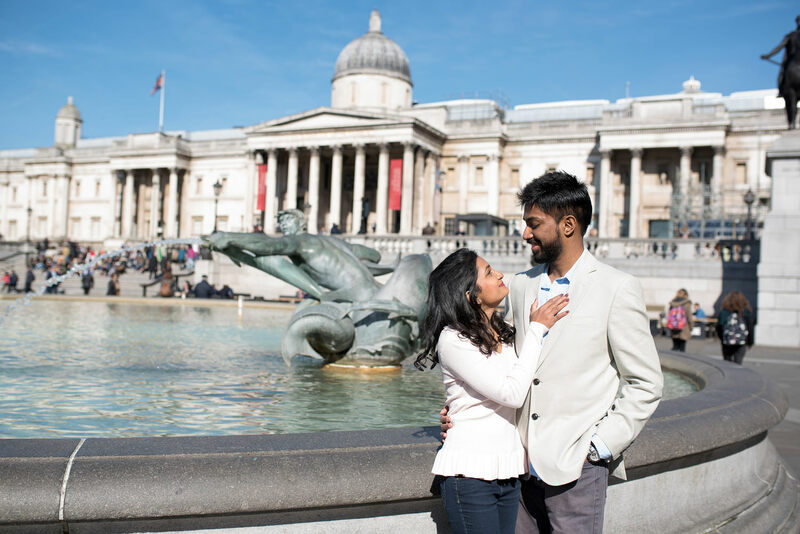 Finally, after Big Ben, we had another pit stop at Waterloo station – where we took the tube to Charing Cross to our final destination – Trafalgar Square and Admiralty Arch. 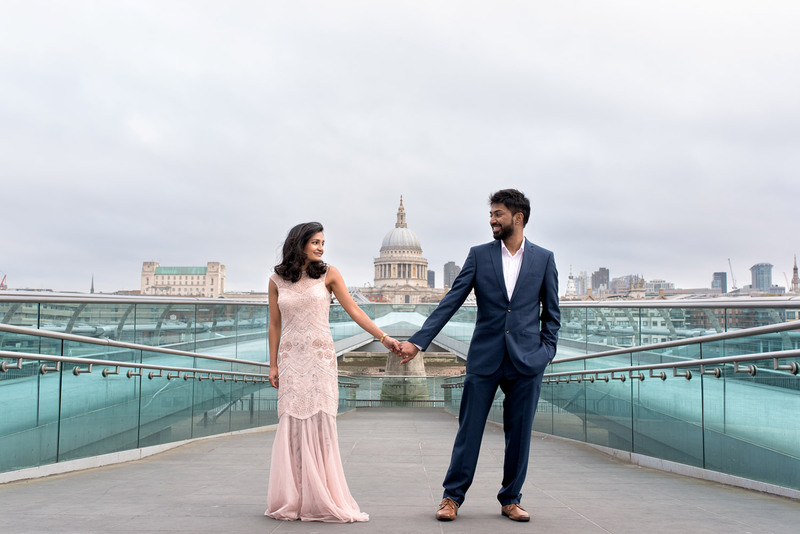 It was a wonderful session with a wonderful couple. 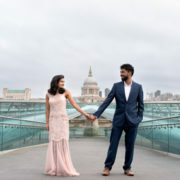 I wish them a happy marriage and a life full of happiness together! 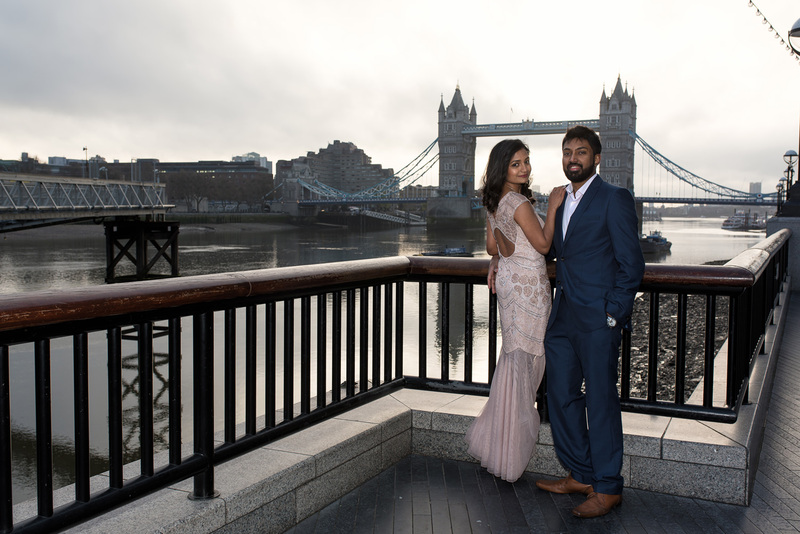 If you are interest in a London engagement shoot, please get in touch and let me know about your plans.